Arms: gules a chevron ermine between three trefoils slipped argent. Crest: a reindeer trippant vert. Arms: sable a chevron between three pelicans or vulned gules. Crest: an eagle displayed or. Arms: azure a chevron ermine between three trefoils slipped argent. 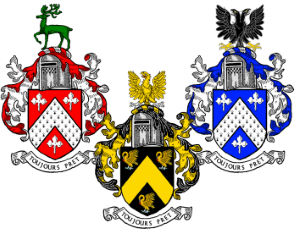 Crest: a double-headed eagle displayed sable, armed or. Welcome to Mead-Family.Net a one name study and home for research into the Mead, Meade, Meads and Mede family names including other variants. This website contains many lines of descent covering the entire globe along with photographs, documents and scanned images. This website is a collaboration by many researchers into our collective genealogy and is registered with the Guild of One-Name Studies and the Surname Society. By joining Mead-Family.Net you can help to expand the knowledge of our family and contribute to its genealogical study. The surname Mead and its variants Meade and Mede first appear in the mid 13th century when John ate Mede is mentioned in the Essex fine court rolls. It is possible that the name existed before then, but very few records survive from that time.Surnames did not become hereditary for all levels of society until the early 14th century. Before then Mede was just a descriptive name indicating someone who lived by a meadow or mead. At the same time in the early records there were people called de prato (Norman French) or ad Pratum (Latin), the equivalent of atte Mede. These descriptive names are similar in usage to faber (the Latin for a smith) or filio Ricardi (Richard's son). Faber, Smith and Richardson, like Mead and Meade have survived to the present day. The name was becoming established in Somerset and the counties around London, especially Essex, Hertfordshire and Buckinghamshire. This pattern remained little changed until the late 19th century. Some families can be traced for several generations to the 14th and 15th centuries, but are not necessarily related to each other. The name has also been adopted as an anglicised form of some foreign surnames. The surname Mead has therefore originated independently in different locations producing several unrelated families with the same or similar surnames. 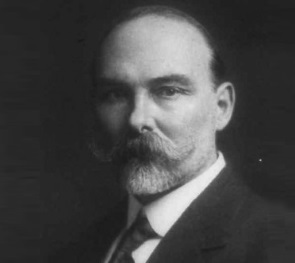 George Robert Stowe Mead (1863–1933) was an English historian, writer, editor, translator, and an influential member of the Theosophical Society, as well as the founder of the Quest Society. His scholarly works dealt mainly with the Hermetic and Gnostic religions of Late Antiquity, and were exhaustive for the time period. Read more about him on Wikipedia by clicking the picture above.